No this is not The Fat Duck of Michelin star, Restaurant Of The Year and Heston Blumenthel fame. This restaurant/bar by the same name is situated in the small town of Te Anau in the south island of New Zealand. I’m not sure who’s been around longer. The food here was ok. Certainly nothing too fancy but it was the beginning of what was to be a food-filled holiday in New Zealand. 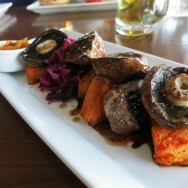 Perhaps I was expecting more of the lamb (we’re in New Zealand, come on) and the Venison is meant to be a local speciality. 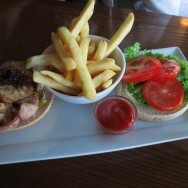 Chicken burger: Chicken breast, cranberry relish, camembert cheese, bacon, lettuce, tomato mayo and fries. 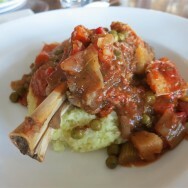 Lamb shank: slow roasted with garlic and rosemary, vegetable and tomato casserole with a creamy mash. 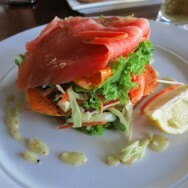 Roasted kumara & salmon stack: Roasted slices of kumara (aka sweet potato), smoked salmon, salad greens, lemon wedge and honey mustard dressing. 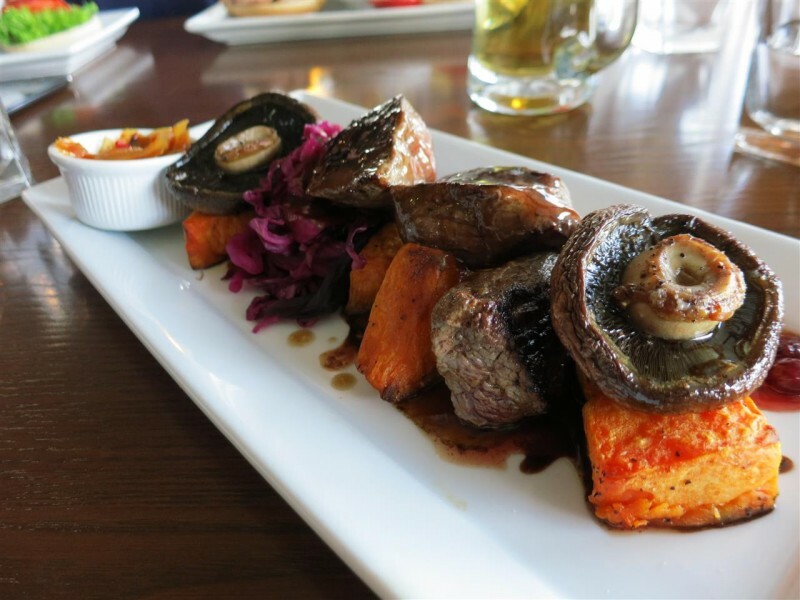 Wild Fiordland venison: Venison medallions served with oven roasted kumara, portobello mushrooms, braised savoy cabbage, chilli onion jam and redcurrant jus.